STEM Friday: Exploring the Universal, Invisible Force of Gravity! Did you know that because there is no atmosphere on the moon, there is also no wind or weather. Footprints from astronauts who walked on the moon over 40 years ago are still there and it will probably take another 10 to 100 million years before they are covered by dust. How cool is that fun fact?! It’s taken directly from inside the pages of Explore Gravity! With 25 Great Projects. For STEM Friday today we’re featuring our new book at Nomad Press, Explore Gravity! With 25 Great Projects, for kids ages 6 to 9. Gravity is a thing, it’s a noun, it’s something that affects everything in the universe, but because it’s invisible, it’s also a concept, something that can be hard to grasp with the brain. Explore Gravity! encourages readers to experiment with the concept of gravity while emphasizing data collection and scientific processing skills. Combining concept with application is the very core of STEM!! Explore Gravity! 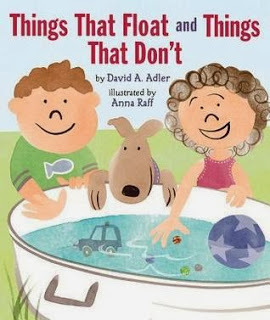 introduces kids to the concepts of matter, attraction, and gravitational pull. Projects include creating a working model of a scale to learn what “weight” really means and how it’s affected by gravity. By playing with various weights to make a marvelous mobile, readers learn about the center of balance and how martial artists use this knowledge to throw their weight around. All the projects in this book are easy to follow, require little adult supervision, and use commonly found household products, many from the recycling box! Booktalk: Visit the Face Bug Museum in this poetry collection and see a museum—built by bugs, for bugs. Could give a kid a heart attack! Looking for a new twist on STEM books? Today we have the first book of a graphic novel series, Squish #1: Super Amoeba by Jennifer L. Holm and Matt Holm. Fictional graphic novels are not typical STEM fare, but this series might inspire some readers who aren’t normally attracted to nonfiction to learn more about science, particularly microbiology. The Holm siblings already have successful graphic novels in the pink-covered Babymouse series. In the book Babymouse: Mad Scientist, they introduce Squish the amoeba and then “bud” him off into his own series. Although it contains some scientific vocabulary and concepts, the book has characters and a plot typical to fiction. Squish is an amoeba with the usual middle school problems, like a friend who tricks him out of his lunch money and a bully who wants to copy his science tests. Usual, except the school bully doesn’t just push students around, but actually engulfs and eats them! Can Squish save his friends? Can he keep himself out of trouble? 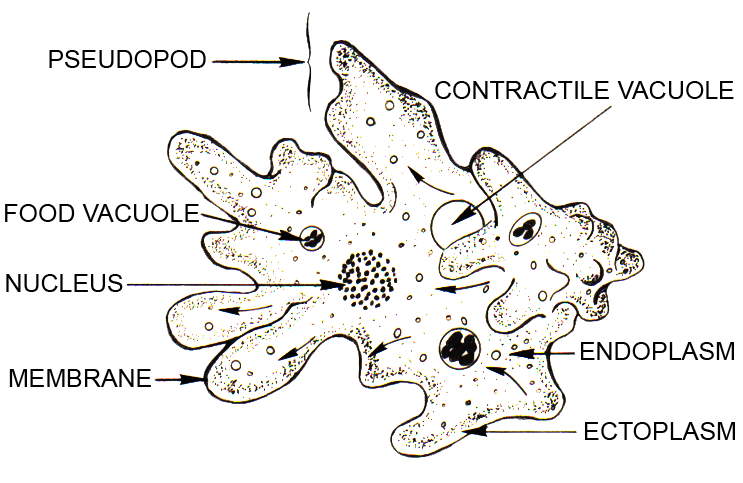 Throughout the book are green arrows with words that point out facts like amoebas can be different shapes, as well as serving up humorous asides like, “Twinkies make life worth living.” Characters include not only organisms from the Kingdom Protista (amoebas and a paramecium), but also small animals typically found in freshwater ponds, such as rotifers and planaria. Later books have water fleas, leeches, a hydra, and more as characters. 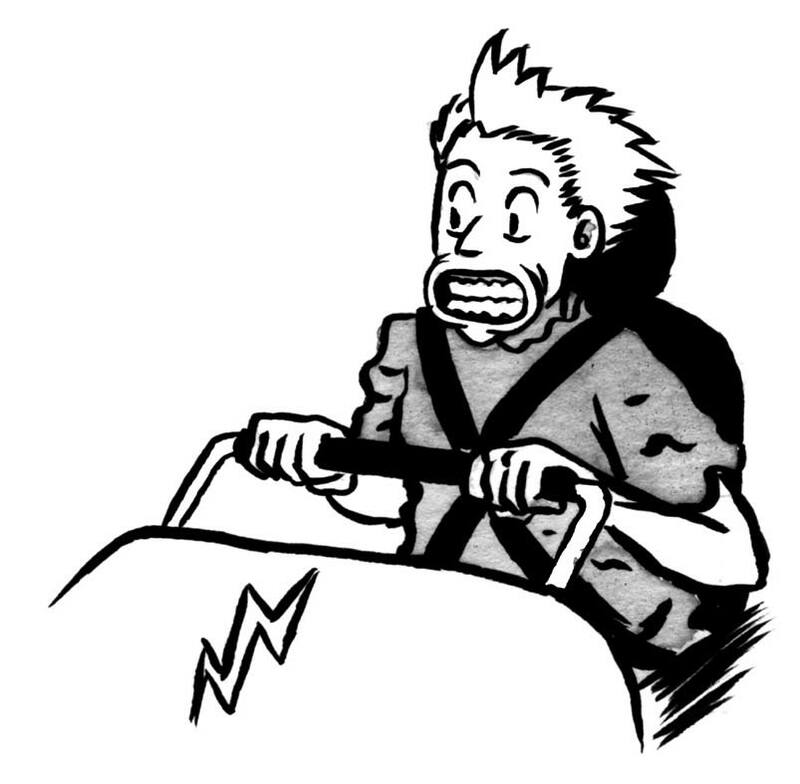 Squish #1: Super Amoeba is a fun graphic novel with many different elements. Each young reader is likely to take something different away from reading it. If just a few take away an interest in finding out more about microorganisms, then it deserves a place in the STEM library. Want to find out more about the science found in Squish? Visit Growing with Science for more details and a few suggestions for activities. Looking to pair Squish with a nonfiction title? Interestingly, there aren’t a lot of books about freshwater microorganisms for kids, but Protozoans, Algae & Other Protists (Kingdom Classifications) by Steve Parker might be a good reference for this topic. 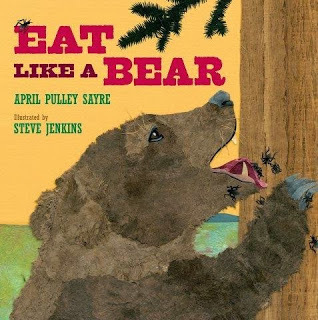 At Sally’s Bookshelf, she has Eat Like a Bear by April Pulley Sayre. We have one in our local Sciencenter. Next to the water play area. When my boy was younger I used to sit on a near by bench while he played, watching the pendulum swing back and forth. As my sleepy boredom increased, the moments of my son’s childhood passed by, the earth spun silently beneath us. Now we take it for granted and walk by it every time we go to the Sciencenter. Of course the Earth is turning. What’s the big deal? But it still enthralls me, Foucault’s Pendulum. Come See the Earth Turn: The Story of Leon Foucault by Lori Mortensen, illustrated by Raul Allen shows what a big deal Foucault’s Pendulum really is. It tells the story of Foucault’s youth in the early 1800’s, as a boy who was a bit behind in the intelligence arena. Yet, he found his calling in working with his hands creating machinery. By the time he was an adult he was creating unique things. The book is detailed, easy to read, with original illustrations. But the book itself is overshadowed by Foucault and his work, almost as if you forget you are reading a book but are instead inside the man’s world. It goes on to show how Foucault’s experiments, his playing around with mechanical things, gave him the chance to discover. And, as happens with science, one of those experiments allowed him to find a new reality for the world. At the time, it had only been recently accepted that the Earth did indeed turn on an axis. A hundred years before it was believed that the Earth (and the men who inhabited it, who were after all were the most important beings in the universe) was the center of the galaxy and all the far reaches of space revolved around them. In Foucault’s time many people were beginning to believe the Earth was the turning object, but it seemed an impossible thing to prove. Thus, many scientists and religious men held fast, like old men are oft to do, to the ideas that they “knew” to be truth. Foucault’s Pendulum was solid proof that the Earth does turn in space, a realization that altered the way people saw their world. Still today it makes me wonder whether we should not hold so fast to our beliefs, but rather let them go and keep the enquiring mind active. Foucault answered questions for the people of his age, but he raises more for those of us living centuries later. The Earth has turned without fail since my child and I spent those sleepy days at the Sciencenter; the pendulum continues to swing, and I wonder, what do you think we “know” today that in five, fifty, a hundred years, will be proved by science to be wrong?